Has anyone ever tried to guilt you with a statement like that one? What did it evoke in you? A warm fuzzy feeling? Doubtful. Have you ever said that to anybody else? Did it feel like an act of love to you? Probably not. That’s because it hails from feeling deserving and entitled. Click here to read about Dane and Paula … two people who were unhappy in their relationships for this very reason. Shoulds and love do not belong in the same universe. I have been in serveral TERRIBLE relationships and many men have told me “if you love me…” It made me feel sick and uneasy. I finally grew from that and unexpectedly fell in love with someone who lets me be more me than I have ever felt. I feel free and more in love each day. We both want the other to be healthy and happy, true to what we are and we respect each other for it. Hooray for you! It isn’t easy listening to ourselves and making a course correction . . . but you did. I never heard those words, but I was subjected to behavior that had the same meaning. The sighs, frowns, furled brow, etc. had the same effect on me as Dane. Funny, though, because hearing someone whine “If you loved me you would…” makes me angry and I never would have allowed it to control me. But I was a dancing puppet when it came to avoiding frowns and icy stares. Thanks for pointing out that the problem need not accompany a certain set of words. Since you wrote in the past tense, I’m assuming congratulations are in order! Love in its pure state asks nothing. It does not require physical action to support it. When a person tries to control another they are trying to fill an inadequacy of their own. The other isn’t allowed to act spontaneously. Furthermore, they aren’t free to be themselves. To be blunt, what a tragedy. Love in a sense that says you are perfect just as you are flaws and all! I am so thankful to have adult examples of allowing others to be their “true self.” The love I knew as a child was not self nurturing. 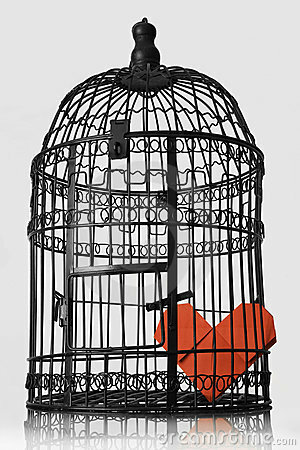 I have spent several years watching and learning how to release the caged form of love. The pure form of love is so much more rewarding!! Thank you, Tina! Glad you found it worth sharing. Seems to be a universal reality!